What’s new in KDE 5_16.02? Frameworks 5.19.0 is an enhancement release. See https://www.kde.org/announcements/kde-frameworks-5.19.0.php . Plasma 5.5.4 is an incremental bug & stability update for the 5.5 series. See https://www.kde.org/announcements/plasma-5.5.4.php . Note that these Plasma 5.5.4 packages were already released in ‘ktown‘ on February 4th as an incremental update. The Applications 15.12.2 is a bugfix release. For a full list of changes to applications, read this page. The ‘kjots’ package was added. This used to be part of KDEPIM and has now been released as a separate tarball. 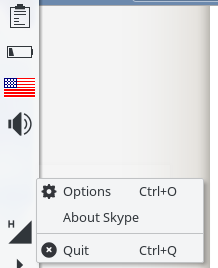 KDE Telepathy is still missing the graphical voice&video chat application ‘ktp-call-ui’. At least, it is missing a stable release. I used a git snapshot to compile a package now that it finally has a new maintainer who finished the port to KF5 (KDE Frameworks 5). Inclusion of a stable release of ‘ktp-call-ui’ is expected in Applications 16.04. I am preparing ISO images for the new 0.6.0 (Beta6) release of my Slackware Live Edition. These ISOs are based on the latest Slackware64-current. The PLASMA5 variant contains my KDE-5_16.02 packages. You can play-test the new desktop in a Live OS without the hassle of installing it to your hard drive (although that will be possible). Upgrading to this KDE 5 is not difficult, especially if you already are running KDE 5_16.01. You will have to remove old KDE 4 packages manually. If you do not have KDE 4 installed at all, you will have to install some of Slackware’s own KDE 4 packages manually. http://taper.alienbase.nl/mirrors/alien-kde/ (my own US mirror) – rsync has been disabled due to bandwidth abuse. Posted: 24 February, 2016 in Slackware, Software. Fully updated. The only thing I can mention at first glance, is the HPLIP icon is not visible it does functions but is a ghost icon for me. Thank you Eric! So far everything OK save for the hplip icon. Works OK. Only two issues. 1.Korganizer doesnot seem to write to, or read from remote calendars. It seems this is due to a libical2 library needed, instead of libical1. I don’t know if it is possible (if this will not cause other packages to be recompiled as well). 2. Kio-fish gives an error “Cannot read file” if we try to copy a remote file with non ascii filename, by dragging and dropping it over to a local folder. This should be fixed upstream in my opinion. Except for the above issues, this release is a lot more stable. Both issues were already present in older releases. The libical thing is something I should address in the next edition perhaps. The Fish plugin’s issue with cyrillic and other non-ascii filenames was mentioned on this blog I think, somewhere in the comments. This is an open bug and needs to be fixed by KDE developers. I’m getting the kstartupconfig4 does not exist crap here post “upgrade” Things had been running alright until I rebooted into your latest headache. Which old kde package did this thing come in? kde bug https://bugs.kde.org/show_bug.cgi?id=355684 marked as resolved in 5.4.3, maybe problem with packaging ? MiRacLe, the fix for blank systray icons as found in https://bugs.kde.org/show_bug.cgi?id=355684 was pushed to the Plasma 5/5 branch. I packaged plasma-workspace-5.5.4 and just verified that the mentioned patch https://quickgit.kde.org/?p=plasma-workspace.git&a=commit&h=41df1bdb8b478eb27fb424d201c075c76ec0ed5a seems to have been applied to these sources. How would this be a packaging bug? Please open a new KDE bug. I have the same issue with the HP (xembed) icon btw. Gerald Morris, if you think what I made is crap and a headache, feel free to remove it from your computer and re-install the stock Slackware packages. Bye. The “kstartupconfig4” program exists in the KDE4 version of the “kde-workspace” package in Slackware. 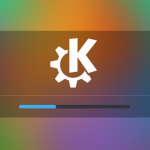 However my ktown version of this package (also called kde-workspace) is meant to be used only with Plasma5, I removed all the conflicting KDE4 stuff – such as kstartupconfig4. You are not supposed to be running a KDE4 desktop after having installed my packages for Plasma5. Gérard, thanks for finding these patches. I will adopt them and update my repository somewhere in the next couple of days (new libical 2.x is coming to Slackware soon so I need to recompile PIM stuff too). Now that I have applied your updates of Plasma-testing branch well a plethora times to a vast array of computers. I am now wanting a method to benchmark my user work-flow whatever that might be for the/an ‘enduser’. I have to admit I feel that the current update seems to slather/crawl along compared to the previous “KDE 5_16.01 for slackware-current” that one was the fastest/snappiest i have used to date. I am in NO way complaining i am just stating that i feel rather confident that i can firmly assess that this update feels slower for most things related to my work flow. To be clear no matter what you keep coming out with I update to it, leaving one of my identical computers running the previous version hence I make this statement. Eric, I did not imply by either syntax or intent that your work is crap, far from it and thank you for all you do. I DID imply that it can be a headache, yours for sure, and sometimes ours when things don’t run properly or at least as expected. Anyway, I found the package is in yes, kde-workspace, which as you’ve observed, has identical versions 4.11.22. I have no earthly idea WHY my install started demanding the KDE4 binary, since this is a fairly fresh system on a new hard drive, but it did. This may be some exotic issue involving some other as yet undiscovered stock Slackware64 binary still lurking in /usr/bin which didn’t get cleanly deleted after an upgrade. At any rate, I extracted the binary, kstartupconfig4 from the Slackware64 KDE4 package and put it in my /usr/bin to restore a production environment running Plasma5, with the old KDE4 splash showing for an instant before things start running. MOST odd. I know you’re busy, as I am too, but do be careful parsing English syntax and drawing wrong meanings. Rest assured, I NEVER have thought of your work here as anything execrable, though when some common startup errors occur which are extensively documented on the web, but poorly understood even by the developers, then I’m apt to execrate the error, which is precisely what I stated, ergo: “I’m getting the kstartupconfig4 does not exist crap here post upgrade.” implying that the phrase “kstartupconfig4 does not exist ” was worthy of execration. Now, can you think of any reason WHY that would occur after installing your custom kde-workspace-4.11.22-x86_64.txz package? Be mindful, I’ve not seen the error until this was done, and I had notrouble out of your previous release. I never ran into this error myself. I have two machines (desktop and laptop) on Slackware64-current with Plasma5 (continuously being upgraded for the past couple of years) and of course I test fresh installs right after compiling new packages; and the Live ISO is a good testing ground as well. No idea why you are running into it, unless it’s some leftover KDE4 package on the computer or a configuration setting in the user’s $HOME. What happens if you create a new user account and use that to login to Plasma5 desktop? but the icons are a mixe between breeze and oxygen in the kde menu and also in the applications, at the first start. it seem the packages oxygen-icons-15.04.3-noarch-1alien.txz in ‘applications’ contain the same thing that the package ‘oxygen-icons5-5.19.0-noarch-1alien.txz in ‘framework’ . I can confirm the sni tray icons bug as well. Clementine and Synology Cloud Station show an empty space in the tray. Planned future patch will probably fix it. Gérard good catch. I forgot to remove the oxygen-icons package after it moved from Applications to Frameworks at the time of frameworks-5.16.0. I took the opportunity to also patch plasma-framework to fix the “empty xembed icons” issue and I am regenerating the repository files at the moment. 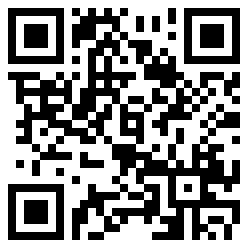 Will sync to the publix server once that finishes. PROBLEM SOLVED! It WASN’T in my .config(s) but an artifact of slackpkg+, which I’ve been using of late. MOST UNWISE for a KDE5 upgrade! Apparently, it upgrades without forcibly overwriting executable script files with identical names to those in a fresh slackpack. In this case, the startkde script contained in plasma-workspace-5.5.4 which calls on kstartupconfig5 DID NOT GET COPIED TO MY /usr/bin as I found by a more /usr/bin/startkde, which had the fatal call to kstartupconfig4. Mind you, Plasma WILL RUN with kde-workspace-4.11.22-2 for stock Slackware, but this also installed the venerable kdm, sans any configuration handles to control it, and all the other kde4 stuff we don’t want, but I was able to work a bit until I found the proper solution. I removed kdeworkspace-4.11.22-2, replaced it with your build, reinstalled then and only then plasma-workspace-5.5.4, et ECCE! BONUM EST! I advise folks not to rely too heavily on slackpkg when upgrading a heavy environment like Plasma 5. Doing so cost me an evening’s peace and productivity, and some minor acrimonious misunderstanding. Be SURE to use the –reinstall switch when running the upgrade, as Eric advises in his READMEs, lest some artifact persists in your directories unbeknownst until it breaks your environment(s). Thank you Eric for your work. Damned altruistic of you, for the best motives too. Gerald, when I upgrade something as complex as Plasma 5 packages on Slackware -current (both are moving targets) I always use “upgradepkg –install-new –reinstall” on the complete directory structure of packages, and then I run slackpkg (with the slackpkg+ plugin) to see what differences between regular Slackware-current and my installed packages are still left over – I handle those manually, one by one, because it is easy to overlook some of the KDE4 packages that slackpkg+ wants to install and that are not wanted in a Plasma 5 setup. Gérard, a recompiled kdepimlibs package (recompiled against libical-2.0.0 of course) is underway, so the symlinking is no longer required then. because it compil perfectly with baloo5. Unfortunately after the libical upgrade from Slackware current kmail is not working anymore. The kcm_kmail plugin fails to load due to unmet dependency on libical 1.0. I managed to track down the following packages which still had a dependency on libical 1.0 and recompile them: akonadi-calendar-15.12.2, kcalutils-15.12.2, kcalcore-15.12.2. According to Pat kdepimlibs4 must be recompiled as well but compilation failed on my system, maybe you’ll succeed. I’m sorry if my question out of the topic. But i was update latest plasma version, i always got a changing panel. When i log in this panel seem casual, but if i log out or reboot this panel was different. I don’t know what to look at in those screenshots? They look OK to me (you seem to have switched from the default kicker to a custom menu layout). If it is the task bar you want to comment about, what’s wrong with it then?